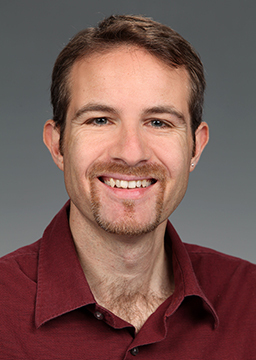 Roberto Gioiosa, a scientist with PNNL’s High Performance Computing group, along with collaborators from Intel Corp., co-authored “Analyzing System Calls in Multi-OS Hierarchical Environments.” The paper describes their work analyzing supercomputer operating system, or OS, hierarchy functionality and recently was accepted by the 2015 International Workshop on Runtime and Operating Systems for Supercomputers (ROSS). Gioiosa and his Intel colleagues will present their work during the ROSS 2015 Operating Systems Session on Tuesday, June 16, 2015. In work with Intel, PNNL’s Roberto Gioiosa examines hierarchical approaches to manage HPC resources. Held in conjunction with the ACM International Symposium on High-Performance Parallel and Distributed Computing (HPDC), ROSS focuses on the complexity of node architectures in supercomputers, especially as they approach exascale, and offers a forum for researchers to discuss technical challenges and propose ideas for improvements. This year, both events take place in Portland, Oregon. Gioiosa R, RW Wisniewski, R Murty, and T Inglett. 2015. “Analyzing System Calls in Multi-OS Hierarchical Environments.” In Proceedings of the 5th International Workshop on Runtime and Operating Systems for Supercomputers (ROSS 15), Article No. 6. June 16, 2015, Portland, Oregon. ACM, New York, N.Y. DOI: 10.1145/2768405.2768411.